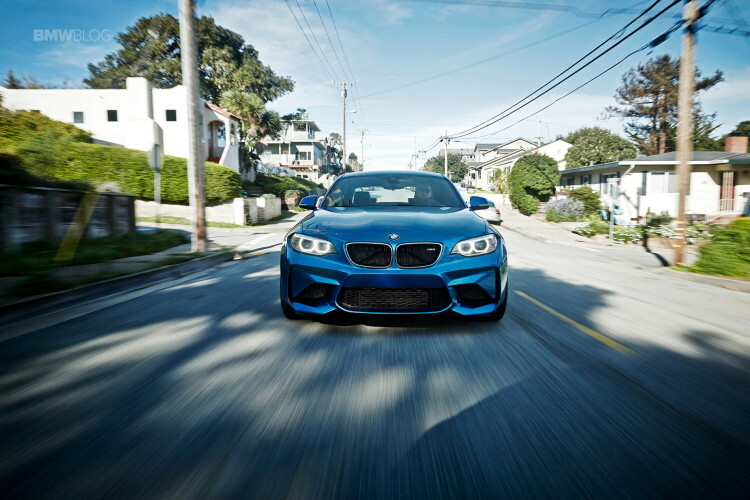 BMW’s newest M2 is certainly one of the hottest sports cars on the planet at the moment. Its simple approach to performance and throwback style make it the most fun car to wear a Bavarian roundel. However, in its price range, there are two other cars that also offer high-performance fun. Both the Audi TT RS and the Porsche 718 Cayman S compete with the M2, albeit a bit differently. Whereas the BMW M2 is light on its feet, nimble and slidey, the Audi TT RS is faster and tidier but a bit more sedate. While the Porsche Cayman S is the more clinical approach to balanced handling and performance. They all have their pros and cons, so it’s very hard to figure out which is the best in the segment. Over a new series of videos from DriveTribe, we’re going to find out which is best. Though, only the first video has been released, as we’ll have to wait for the rest. In it, we get to learn the specs of each car and how they stack up. To do so, they took all three cars to Litchfield’s tuning shop to use their scale and dyno. First up on the scale is the Audi TT RS. According to the official numbers, the TT RS weighs around 1,440 kg (3,174 lbs) with a 90 percent fuel. When they weighed the car with a full tank, they measured 1,500 kg (3,306 lbs). That’s a pretty significant increase in weight but still surprisingly light for an all-wheel drive car. Though, its weight balance isn’t as good as one would hope. With 60 percent of the weight sitting over the front tires and 40 percent over the rears, the TT RS is likely to understeer quite a bit. Next up is the BMW M2. It tipped the scales at a measured 1,557 kg (3,432 lbs) compared to its 1,495 kg (3,295 lbs) claimed weight. So it’s a decent amount heavier than what BMW claims and surprsingly heavier than the Audi. It’s actually shocking that the M2 is heavier, considering it’s only rear-wheel drive and so simple on the inside. Although, it makes up for that weight increase with bang-on 50/50 weight distribution. Who cares about a hundred pounds when it’s so well balanced. Lastly is the Porsche 718 Cayman S. Its official weight is 1,355 kg (2,987 lbs) but measured in at 1,420 kg (3,130 lbs). That’s still really light, even though it’s more than what Porsche claims. You’d think, with the Cayman being mid-engine, it would have the best balance. Though, its 52/48, rear/front weight bias proves otherwise. Still, though, with that low weight, slight rear bias and mid-engine balance and the Cayman should be a helluva toy. In terms of power and performance, the Audi TT RS should have the most power, with 394 bhp and 354 lb-ft of torque. When on the dyno, peak power was actually 416 hp and 348 lb-ft. Still, that’s a lot in a little car. 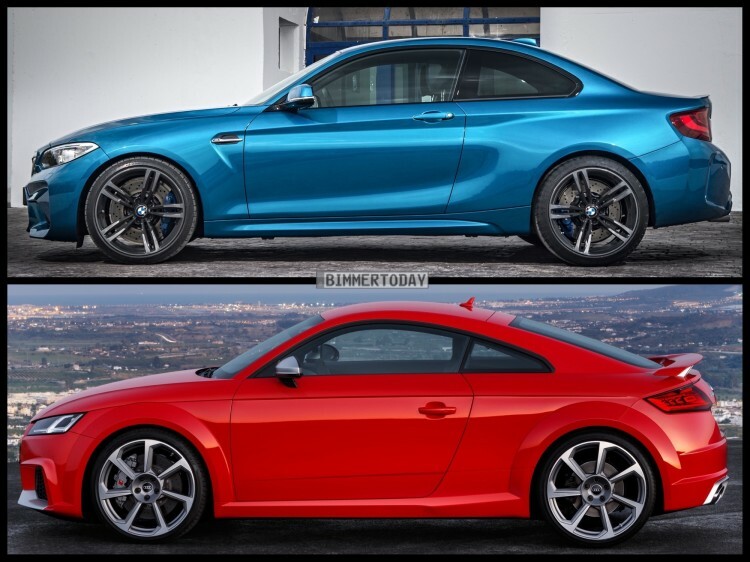 The official power figures for the BMW M2 are 365 bhp and 343 lb-ft of torque. On the dyno, BMW was bang on with the power, as it made 365 hp. But it made even more torque than claimed, with 351 lb-ft. Porsche claims that the 718 Cayman S makes 345 hp and 310 lb-ft. In reality, those numbers come out to 351 hp and 316 lb-ft. So the Porsche is the only double overachiever. That’s all for this video but in the next one we’ll see which of these three cars is fastest. My bet is on the Audi TT RS. From a standing start the Audi will destroy the others, it’s not up for debate. The current, about to be replaced RS3 had less hp than the new TTRS and it was already faster than the M2. Fortunately, that’s not why I bought a M2. I have the sales brochure for the RS3 I considered buying over the M2. I keep it on my desk to remind me that every once in a while, it’s important to remember you’re alive and follow your heart. Admittedly, it is quite confusing when if comes to the variants of Porsche within each class of car. The performance of the 718 Cayman S PDK in unquestioned and already documented. See below. The Audi will not destroy the Porsche, and I expect you will see this come to reality in the track test. It’s an amazing accomplishment for Porsche, and I urge you and others to drive the new super car if you are able. The manual is substantially slower than the PDK equipped with sport chrono, the lowered chassis, and sport response (waste gate control). This car was selected over the Audi R* and the McLaren 570S are the 2017 World Performance Car of the Year by 75 top auto critics from 23 countries. There really was a reason behind the selection. It’s also the fastest car hitting 186 mph on the Autobahn (Automobile Magazine Testing). Stop listening to the editors who sell out to the pubs for advertisement dollars.